Cirque du Soleil’s new production “Luzia” whisks the audience away to Mexico and features a diverse collection of acts. Filled with music, dance and humor, “Luzia” demands audience attention and keeps it. Atlanta’s skyline is decorated with not only the familiar Bank of America Plaza and the Westin but now with the opaque white curves of a circus tent. Daniele Finzi Pasca’s “Luzia” premiered Thursday Sept. 14, and, as always with any Cirque du Soleil production, it delivers. As for any production of Cirque, the actors do not indulge heavily in the use of language. The audience is led through the night by a slapstick mime. His inability to grasp the function of props on stage is a reappearing motif. For the most part, the use of Spanish is limited to song. The show features a wide range of performing artists accompanied by a constant musicality. There is perhaps never an empty beat when at Cirque. A mime starts a volleyball game with the crowd. A team of gymnasts ups the pace of the performance, utilizing heavily integrated props dressed in Giovanni Buzzi’s elaborate costumes. The opening scene begins with the turn of an enormous show key and the moving of machinery. The props were not simply accessories to the performance: they were used to their complete potential. Perhaps the most striking performance of the night features an acrobatic act by Krzystof Holowenko. Crowd favorites include a contortionist who bends his body into a question mark and a duo of soccer freestylers. The collection of performers that Cirque du Soleil brings have a wide skill set, but the quality of performance is not necessarily maintained across all acts. The soccer act is not nearly as impressive as a solo act because it lacks organization. Cirque’s mime entertains during periods of transition but exhausts some jokes in his time on stage. The juggling act keeps the audience engaged with the suspenseful increase in the number of pins but lacks difficulty and ingenuity. 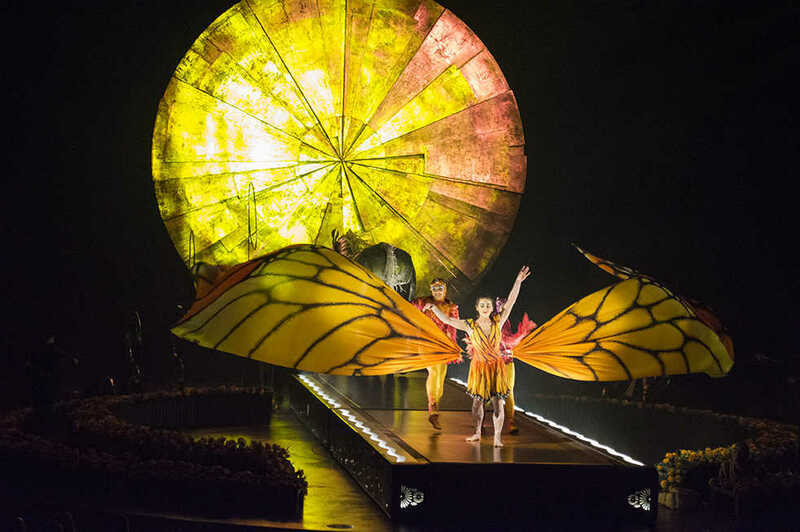 “Luzia’s” complexity is what makes attending worth it. Many circuses focus on leaving the audience in awe, but Cirque du Soleil surpasses this standard by blending key elements of performance. The use of gesture, exaggerated movements, humor and a strong development of mood keeps the audience so heavily involved. One act features a couple of scuba divers imitating diving with the help of a harness, transforming the circus tent to an underwater world. A singer is accompanied by a huge jaguar that struts along the border of the stage. The show creates scenes that make it seem as if environments are truly changing in front of the audience’s eyes. The creativity that “Luzia” features is the mark of strong production. The integration of invention — a waterfall that creates itself out of the ceiling, a rotating stage and a treadmill large enough for a hippo — is a mark of Cirque’s professionalism. Pasca’s ability to push the envelope keeps Cirque alive amongst the diminishing live entertainment industry. The music is instrumental to the execution of the show. Majo Cornejo, a talented singer from Mexico, is accompanied by an energetic mariachi band. Their interjections are drizzled throughout the show, and their integration helps Cirque stay true to the show as a display of culture. Cirque’s acrobatics are impeccable. The aerial acts are heavier in the first half of the show, featuring three flyers, one trapeze artist and a cyr wheeler. Other acts use a 360 degree swing and straps. The number of stunts, their difficulty and their danger become secondary to the viewer because Cirque can execute them in such high frequency. Their mastery of aerial acts is unmatched. “Luzia” ends on a melancholy note with a transition back to reality: the mime is sad that he must return the key back to its original position.